The front gate for NWS Earle is on the east side of route 34, 1.5 miles south of Colts Neck NJ. After entering the gate proceed ahead .5 mile (2nd right turn) and turn right at the RV Park sign; you will soon see the park on your right. All personnel with CAC access. Retirees, 100% DAV with Teslin ID card. RV sites open April 1 - Nov 15. Lodging open year round. Highly recommended and accepted 3 months in advance. There are also 10 townhomes and 23 hotel style rooms available. 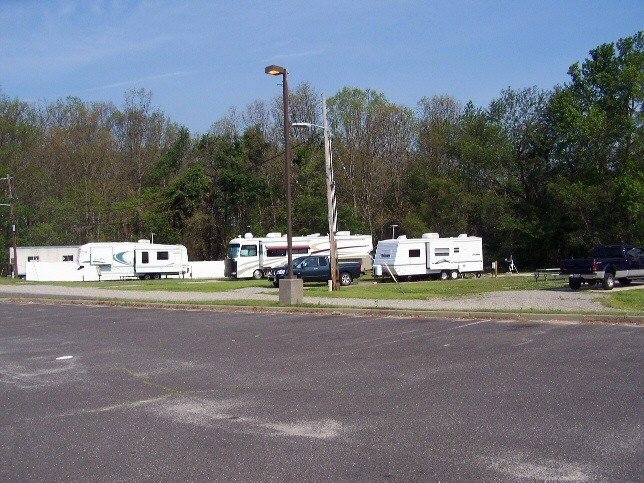 The NWS Earle Seasonal RV Park offers large roomy sites with 10X62' concrete pads, 11X25' patios, easy access from paved roadway and is set on a grassy and wooded knoll in a secluded and quiet area of the base. Write-up and suggestions from "Sharkey", a website user. We stayed at NWS Earle in site 1. Once you figure the sewer (middle of pad) and electric at the center back. We initially set up with the sewer under the middle of the coach, water not connected as we were too far back, electric fine. Next morning we moved the coach about 15’ forward so sewer was just under rear of coach, water and electric were both good. To get up on the pad had to gun it to jump the curb, then gun it again to get on the pad. That said a nice location if you have a car. With our Navion it’s fairly easy to get around. Bathhouse and laundry were old but good condition and clean. Campground not so much a little money would go a long way. The base is small, also needs a dose of funding. NEX is small but well stocked. It is a great place to walk and ride bikes (level). Lots of deer and wild turkey early in the mornings. We would come back. Nice , but small park. Definitely heed the warning in other review about not taking that first right for sites 9 - 15. No way to make that turn, use the next right and gravel access road. And the notes about sewer hookup in strange location are very spot on! Earle is close to Red Band train station (20 minute drive) we found ample parking and $29 got us both round trip tickets to NYC. Twenty five minutes in the other direction is the New Jersey Shore. So, awesome location. Helpful staff at MWR, small NEX, more like a large Shopette. Pool wasn't open yet, but looks nice. Walmart 13 minutes away. I'd stay here again. Very nice. Nice large concrete pads and neatly mowed and cared for lawns. There was lots of elbow room between most sites, but some were a little tight. The base is pretty close to trains and/or ferry to go in to NYC. It is also close to the Jersey Shore which was a very pleasant surprise. Loved the shore. 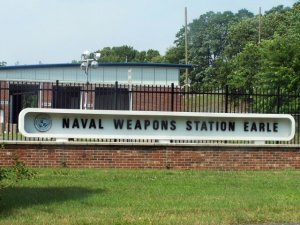 My complaint about the park is that it is within the buildings of the base. The park is not set away or at the outer fringes of the base but within the comings and goings of the base and the buildings. Now...here is BIG WARNING!! 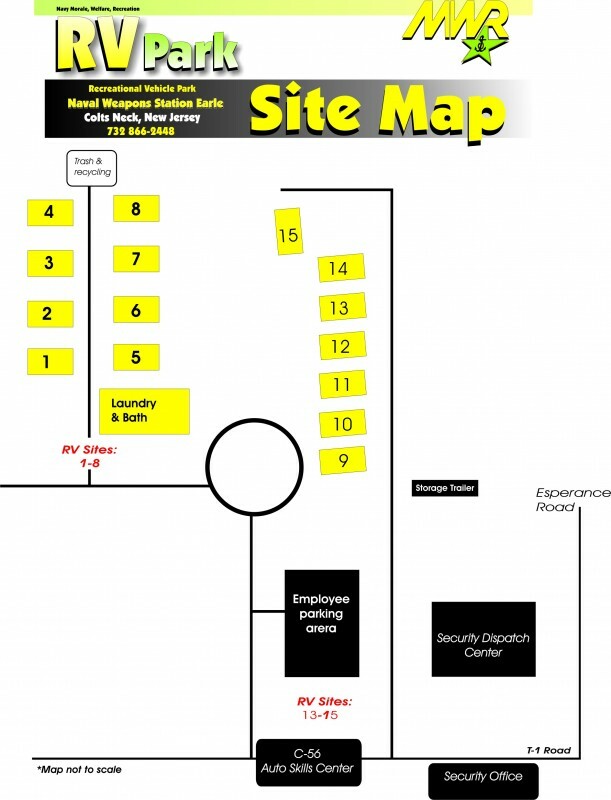 If you are assigned #9 through 15 you need to be aware of the driveway going to your site. You will be told to turn in to the first gravel road on the right (after turning right on T-1). DON'T turn on that first gravel road! That first gravel road begins about 10' wide with curbs on both sides and a fire hydrant on the corner. You can't swing wide to make the turn because the T-1 road your turning off of isn't wide. We did it with a 40' 5th wheel and the truck had to swing over the curb on one side and the RV had to jump the curve on the other side (a fairly high curb at that) and then came within inches of the fire hydrant. There is an alternative. If you drive on T-1 just a little further - about 75 feet - (to the 3rd right) there is a gravel pass-through - about 75 feet - that is much more doable to get to #9 through 15. The sewer hookups are at the rear of the site and most are on the rear/wrong side) of the site. No big deal. Just have a long sewer hose. Very quiet and well kept area. At night and on weekends the base is like a ghost town, very few people around. Plenty of green areas with a park, baseball field, tennis & basketball courts, a running track around the field, outside pool. 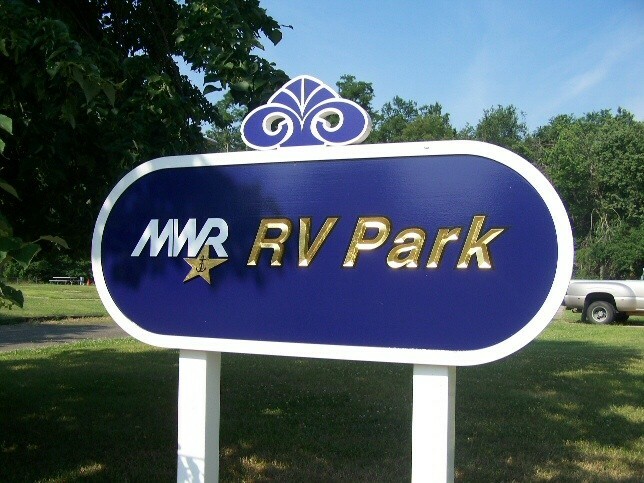 This place is great to RV with or without children, plus the base is within 1.5hrs of Atlantic City or Philadelphia, 1hr to NYC or 2hrs for Skiing & waterparks in the Poconos mountains in PA.
We stayed here for two weeks, including over Labor Day, and were pleasantly surprised by the experience. Upon arrival at the gate, we were given a welcome packet with our site number and information on where the office is to check in after setting up. When you arrive, you will pull in through a large building which is the ID check. Stay in the right lane, since the left is for commercial deliveries. The sites are long and paved and very easy to back into, but the connections are not placed in the best spots. The power pedestal is located at the back of the pad, and was a stretch for the length of our cable, so check your power cable before you park. The sewer connection is the worst I've ever seen, it is located in the middle of the pad right under where our axels were. I had to crawl under the axels to connect the sewer, and had to remove part of the piping from the plug because it was sticking up four inches high. That aside, everything else was great. It was quiet and you have enough room to not be on top of your neighbors. Although we did have an issue with one neighbor who had guests over and blocked our parking access, so I had to go ask them to move, even though they were sitting outside and watched us pull up and still did nothing until I asked. 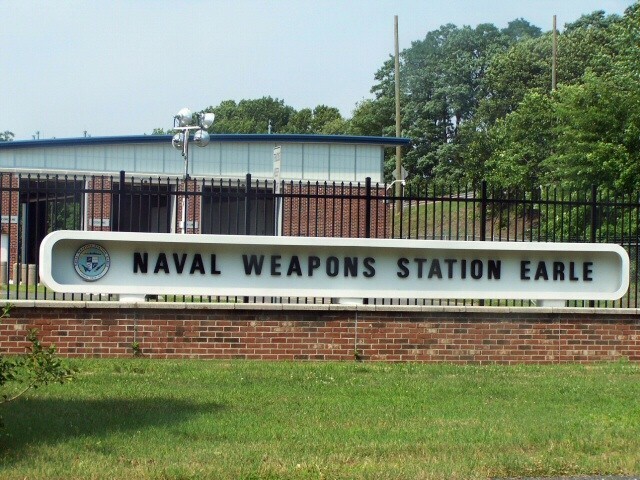 The utilities worked well, no cable TV, but over the air channels were fine and wifi is standard Navy GoWifi. The laundry room has three washers and dryers and all worked well. It was perfectly located to visit our family and be able to catch the train to NYC. There is no commissary on base, but a Super Walmart is about 10 minutes away, and I recommend visiting Delicious Orchards just up 34 for great baked goods, fruits, vegetables and deli meat. The base is small, but we still had plenty of areas to walk our dogs without worrying about traffic. Aside from the connection locations, it is a very nice campground and we would definitely return. We really enjoyed our stay. 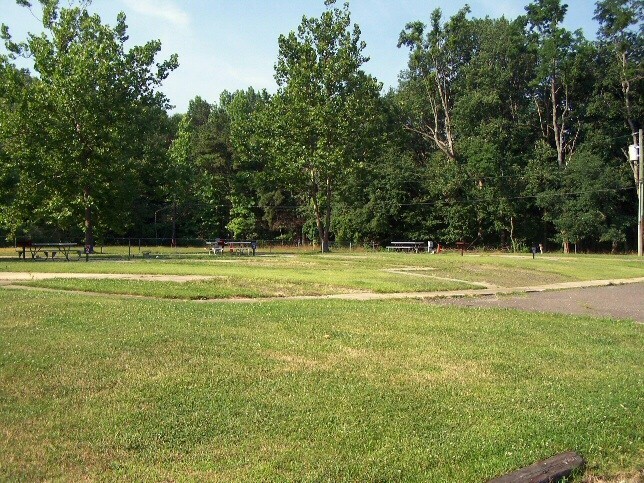 Nice, quiet park conveniently located between NYC and Philly. Lots to visit in the area. Not much on the base, but not too far to the nearest stores. When you enter the base, be sure to take the second right. Ask if you should take the first or second road into the park. They dead end and it could be an issue if you are longer. We read in other reviews about the weird hookups and they are right. We found out that it used to be trailer park that was converted into an RV park. Be sure to have extra sewer hose and make sure that your electric will reach before you start setting up. Office staff is very helpful and are located off site at the gym, mwr, small store building. Sites are very long and accommodated our 69' rig and we still had plenty of room for our car. I recommend Purr'n Pooch if you want to board your pets. It's a luxury hotel for pets. We used them when we went to NYC. The train station is just a few miles from there. It was very convenient. Be sure to visit Sandy Hook area. Recommend eating at Bahr's Seafood Restaurant. We will be staying here again when we are in the area. This was our first visit to this FamCamp. Small (15 sites total) and quiet. Unlike most of the military campgrounds we have visited, this one appears to actually be a campground and not a trailer park. They apparently enforce length of stay policies. Only one camper appeared to have been here a while - no homesteaders. The reservation process was seamless. NWS Earle is well marked and access was easy. Bear left after coming in the gate and loop around and through the inspection building. We arrived after hours and our packet was at security office past the main gate inspection station. You will be handed your packet without having to exit your vehicle. The pads are level and paved with a paved extension for the picnic table. Sites are FHU but beware when siting your rig that the connections are in weird locations. Get out and have a look before you start backing. - Our power connection was at the very back of the concrete pad. Make sure when you site your rig so your cord will reach. - The sewer connection was in the center of the concrete pad about 15 ft from the back of the pad. I ended up climbing under our RV to make the connection. - The water connection was on the left side as usual but the spigot was very close to the ground. Water tasted and smelled fine. - The cable TV connection which is on the side of the electrical box was inoperative. When I asked the office they were not even aware there was one. - WiFi signal strength was good with reasonable speed. The system requires you re-log in periodically, but that just keeps the system fresh. 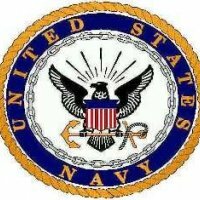 As mentioned in other reviews, there is no commissary but they have a well-stocked NEX with many Navy souvenirs and uniform items; basic food items and alcohol. We had to travel a ways to find the nearest grocery store or Walmart, so plan accordingly. Swimming pool looked nice but we have not used (yet). The laundry facility also houses the latrines and showers with a pushbutton lock on the doors. Three washers ($1.75) and three dryers ($1.25). No change machine so bring a roll of quarters. Everyone we dealt with here from reservations to arrival have been very pleasant and very helpful. Overall we are very happy with this FamCamp and would definitely return. This FamCamp was a pleasant surprise. Level concrete pads with FHU. Sewer connection was a bit odd; middle of the rear end of the concrete parking pad. There was a second sewer on the side which we used. We made our reservation on line and it worked well. We extended one day by calling Chris at the number given. Chris had a packet of information waiting for us at Security, just after passing through the gate. No commissary but essentials can be bought at the NEX. The fitness center is first class. We extended a day just to take advantage of that facility. WiFi was OK. Picnic table and grill at each site. Only four or five sites were occupied. Overall a great experience. Well, being a full-timer and having spent the last two summers at Earle, its still a fine place to stay. There is the hole left by the departure of Muriel and the obvious difference in management, but all in all, you probably won't be disappointed. Its great for folks trying to get into the city and do some site seeing, as well as folks that want to head down to the beach for the day. The $25 a night fee (no extended stay rate) might be a bit hard to swallow if you do much traveling around on the military bases like we do but as they have said "its cheaper than what you can find out in town." The wifi is very reliable and we have never had an issue with the laundry (1.25 wash/1.75 dry) room. The PX/class six is small but provides enough to survive until you can make it down the road to Walmart. The current manager does his job but we sure do miss what Muriel provided. She would always come through the park ask us if we needed anything and we never had any doubt we could count on her to take issues for action. The new regime looks at it as more of a job and less of a passion like Muriel. 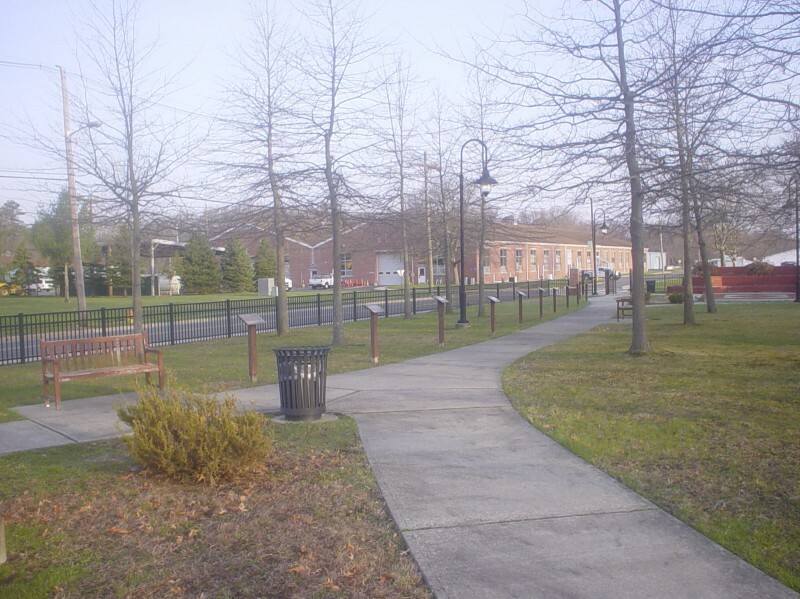 [sigh] But, if you are looking for a spot that's quiet and close to the Garden State Parkway, you can't go wrong. This was our first visit to this location. It is a great base camp location for visiting NYC. And, it is a great place to shake off the stress after visiting NYC. Not much to do on base. There is a small shopette that has minimal groceries. Co-located with the shoppette is a snack bar with burgers and such. Reasonable price, good food. Open for breakfast and lunch only. Lots of deer running around. Sites are very good and level. Sewer hookup is not an issue. Just do not back in so far. Location is close to the Highlands Ferry into the city. We used it round trip for two ($80). Next time we will try a train or bus. Showers lacked sufficient water pressure, so we used coach shower. Showers/laundry were clean and in good order. Book exchange in laundry room. We were told that tics were a problem. We did not have that problem. It may be associated with those with pets. Price of $25/night might be a little high for a military base with the same amenities, but compared to everything else in the area, this is surely a bargain. Overall, a great place to stay. Just an update. Still a great place to camp if visiting NY city. But the rates have gone up this year, 2013, to 25.00 a nite. Not worth the increase. Has gone up 15.00 over the last 6 years. They say to cover the cost of electric they need higher rates. What a lame excuse. We stayed at Earle for four days. Muriel is a gem and worked with us when we wanted to move to a different site.! When pulling into the park watch for the trees on your right (near the bathhouse/laundry). The limbs need to be trimmed. Sites 1-4 and 8 might be iffy for satellite reception if you have a rooftop system. No Wifi. We didn't use any of the facilities but they were very clean and well maintained. Need your towed or truck serviced? Check out the Auto Hobby Shop. I provided the oil, filter and fuel filter and Less did the work for $25. Not a bad deal and he did a fantastic job. Open Wed, Fri, Sat & Sun. Our site was #5 and the sewer connection was right in the middle of the pad. A little awkward but doable. We will return. We chose to camp at Earle because it was a good location to look up blood relatives and seek information about my pre-adoption life, visit the places where I grew up, and to do some sightseeing in NYC and NJ. Upon our arrival, Muriel met us at the gate, gave us our campground packet, and showed us to our site. She answered many questions, provided us useful information about the area, and even helped us when our cell phone was destroyed. NWS Earle, and all RVers that stay here, are very fortunate to have Muriel as our RV Park Manager. She is the best. The sites are very nice, quiet, and well maintained. The bath houses, laundry room were in good order and very clean. Wifi worked very well too. Our first stay had to be cut short due to a family emergency. So we came back to our same site (#4) to finish our business and do our sightseeing. We stayed a total of 24 days and enjoyed every minute here. I agree with all comments in the previous review. 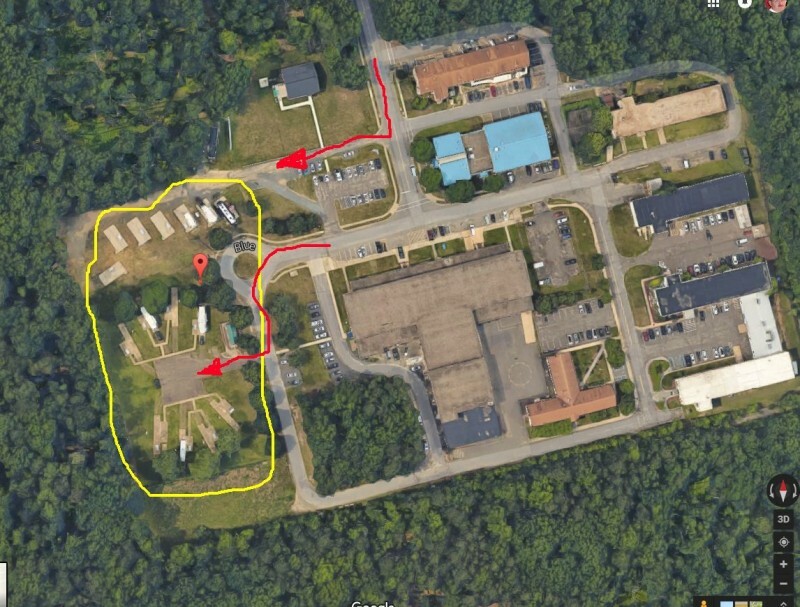 This military campground is a gem mainly because the other military campgrounds in New Jersey have issues. For us it's perfectly positioned to visit family. The campground manager, Muriel goes out of her way to assist. It's an annual stop for us and I'd like to say thank you to the campground manager, the base CO and MWR Director and I hope they continue to support the campground. I think recently some sites were lost to construction of some other facility but there is land to replace and even increase the number os camping sites. The laundry and restrooms are above average. I also think they should try and keep a few sites open year round and see if there is any winter demand for them. It's easy money for MWR. We used our visit to Earl as a base to visit New York City. We had site #3 which was very level, spacious, had concrete pad, large area in the front of the site so it was very easy to back into and we had full hookups. The park is very well maintained. We did not use the restrooms or laundry so cannot comment on those facilities. There were some trees to the rear of our campsite so we could not use our roof mounted satellite. However, there were probably several other sites where you would be able to use your roof mounted satellite. We were able to get in most of the major networks on our antennae. Our Verizon cell signal was excellent. One of the very best features is the wifi. The signal was strong and fast. Whenever we contacted Muriel, the manager, she was always extremely helpful. Also, the base has many deer and they are very visible especially at dawn and dusk. 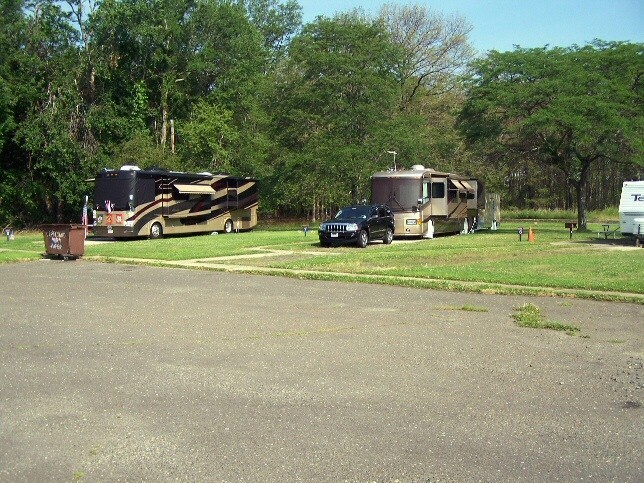 A very nice campground and we would definitely return if we are back in the area. Muriel is a great manager and will do everything in her power to see that visitors have a wonderful time. The wifi was installed while we were there and is working very well. D.W. left this review using the Directory software: - Muriel is great. Showers and laundry exceptionally clean. FREE WIFI should be installed NLT 30 May 2012. Great place to stay within travel distance to NYC, NJ beaches and even Atlantic city casinos.